Around the time of the Great Recession, former Ford Motor (NYSE:F) CEO Alan Mulally decided to sell off most of the automaker’s luxury brands to focus on turning around the core Ford brand. Between 2007 and 2010, the company sold the Aston Martin, Jaguar, Land Rover, and Volvo brands in a series of deals. However, Ford didn’t abandon the luxury market entirely. It held on to the Lincoln brand, which it has owned for nearly a century. Unfortunately, Lincoln has fallen hard since a brief reign as the top-selling luxury auto brand in the U.S. two decades ago. In recent years, management has tried repeatedly to put the brand on a better trajectory, with minimal success. However, much-needed upgrades to Lincoln’s portfolio of crossovers and SUVs could drive a turnaround for the brand starting this year. Beginning about six years ago, Ford attempted to revive the Lincoln brand by extensively updating its model lineup. This effort wasn’t a complete failure. Lincoln’s domestic deliveries rose from 81,694 in 2013 to a recent high of 111,724 in 2016 before stagnating in 2017 and subsiding to 103,587 last year. Still, even in 2016, Lincoln lagged far behind General Motors’ (NYSE:GM) Cadillac brand in the U.S. market. GM’s luxury brand delivered more than 170,000 vehicles in the U.S. in that year. Cadillac hasn’t exactly been a huge success story, either. The top luxury auto brands have been delivering about 300,000 vehicles annually in the U.S. market recently, about three times Lincoln’s current volume. The Lincoln brand’s biggest problem in recent years has been an aging and uninspiring product portfolio — particularly in fast-growing crossover/SUV segments. Fortunately, Lincoln is finally addressing that glaring weakness. While Lincoln’s U.S. sales fell 6.8% last year, there were some hopeful signs. Most notably, the completely redesigned Lincoln Navigator has been a massive success. Navigator deliveries surged nearly 70% for the full year. Furthermore, customers have been gravitating toward the most expensive variants, routinely driving $25,000-plus year-over-year increases in average transaction prices for the Navigator during 2018. 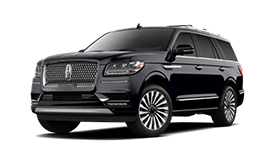 Lincoln followed up its success with the Navigator by introducing the well-reviewed Nautilus midsize crossover model in November. The Nautilus — which replaced the former Lincoln MKX model — has only been on the market for two months but it already seems to be making a positive contribution. While MKX sales fell 13.3% in the first 10 months of 2018, combined domestic deliveries of the MKX and Nautilus rose by double digits in November and December. Thanks to the strength of the Nautilus and Navigator models, Lincoln closed out 2018 with two months of solid sales gains. That positions it well heading into 2019. The Navigator and Nautilus — along with the Nautilus’ predecessor, the Lincoln MKX — together accounted for 47% of the Lincoln brand’s U.S. deliveries last month. Thus, while Lincoln’s sedan sales will probably continue to decline in the coming year, strong demand for the Nautilus and Navigator should be sufficient to offset that pressure. Furthermore, Lincoln is set to replace the MKT full-size crossover — which slots in between the Nautilus and Navigator models — with the all-new Lincoln Aviator this summer. The Aviator has received positive early reviews, both for its styling and technology. The launch of the Aviator is a particularly big opportunity for Ford because the MKT is Lincoln’s slowest-selling model, with just 2,324 U.S. deliveries in 2018. (For comparison, the MKC and MKX/Nautilus models sold in greater numbers in the month of December alone.) If the Aviator can sell at a rate similar to Lincoln’s other crossovers and SUVs — i.e. at least 20,000-25,000 annual deliveries — without unduly cannibalizing the Nautilus and Navigator, Lincoln could be primed for explosive growth beginning later this year. To be fair, Lincoln will face intense competition. Cadillac launched its first compact crossover in September. To the extent that Lincoln buyers are also likely to consider Cadillac, the new XT4 could take a bite out of Lincoln MKC sales this year. Cadillac also is expected to debut its first full-size crossover (the XT6) later this year, so the Aviator will face direct competition from Lincoln’s crosstown rival. Still, with a portfolio of three fresh crossovers and SUVs by the second half of 2019, Lincoln should be able to carve out a niche of its own. It also will replace the MKC with a new model in 2020, most likely called the Lincoln Corsair, adding to its momentum. As a result, the Lincoln brand may finally be ready to make a sustainable comeback. On January 10, investing geniuses David and Tom Gardner revealed what they believe are the ten best stocks for investors to buy right now… and Ford wasn’t one of them! That’s right — they think these 10 stocks are even better buys.